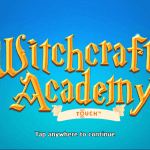 Play Witchcraft Academy for real! Magic! Don’t we all wish we were able to use some magic her and there? While we can create magical moments ourselves and magic can experienced in many kind of ways, I’ve never seen anybody using a magic wand for real. There might be modern witches, yes, and being a magician isn’t impossible, but have you ever seen an annoying neighbour being turned into a rabbit or the tailgater in traffic turned into a turtle (because he likes speed so much), I haven’t! We all have been experiencing situations in which we would hope for a magic wand in order to make the world a better place. Realistic, no, because I believe it would become rather messy, but still. So, we have to look for other ways to add more magic to our lives and NetEnt doesn’t hesitate to help you with that. It’s not the first time the designers at NetEnt have been inspired by magic and all aspects involved. In the 20 years NetEnt has been developing video slots, the Swedish software developed several magic-themed video slots. That’s how you can enjoy games such as Wild Witches™, Spellcast™, Magic Portals™, and Fortune Teller™. All of them have been inspired by either magic, witchcraft or wizardry. Magic Portals™ is for sure the most innovative of them all while the Simsalabim™ slot won’t allow you to get bored thanks to all its innovative slot features. The Fortune Teller™ slot is responsible for a magical slot experience, but does it provide a look into your future? And what about Wild Witches™, is it safe to go there because Witches going Wild doesn’t sound to safe to me or is it the Wild feature that’s surrounding the Witches instead? The oldest magical slot is Spellcast™, but despite its age, this NetEnt video slot still brings enough magic to the reels. 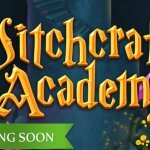 And now, another witch and wizard have found their way to the NetEnt Casinos which you’ll meet soon enough when opening the Witchcraft™ Academy slot. 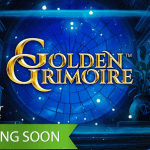 Playing this enchanting video slot, available since June 2018, you’ll have a chance to join Efora the Witch and Earthan the Wizard. These are two students of the Witchcraft Academy and you’ll follow them in their quest for magic treasures. That’s how you’ll bump into an owl, little dragon, and the mysterious Amour Guards. This all is a welcome addition to the magic aspects covered by NetEnt already such as witches, fortune tellers, rabbits jumping out of hats, magic boxes, card tricks, and many more. While magical-themed, this NetEnt video slot doesn’t have too much to offer when it comes to the betting options. Betting options from 0.20 up to 200.00 are no exception and the same goes for the 10 bet levels and seven different coin values available in the Witchcraft Academy™ slot. The only aspect not so standard for a NetEnt video slot are the 4 rows available, bringing a 5×4 layout covered with a fixed number of 20 bet lines. If no magic coming from the standard details of this NetEnt slot, it might be time to have a look at the slot features. While this video slot offers a standard layout and betting options, the opposite goes for the video slot features with a mysterious concoction of Wilds, Element Bonus, and Free Spins with Free Spins Features available in the Witchcraft Academy™ slot. As usual, your NetEnt slot adventure will start in the main game where Wild symbols can appear anywhere on reels 1, 2, 4 and 5. Wilds in this magical video slot will substitute for all other symbols except for all symbols except Scatter symbols. You’ll finally get a chance to sneak around in a wizard school where you’ll spend most of your time in the library. Sounds boring maybe, but we’re not talking about an ordinary library here. After all, you’re inside an educational institution which provides magical instruction to young witches and wizards and you’re being guided by two young magicians; Efora the Witch and Earthan the Wizard. That’s simply why you can’t expect this school to be normal. 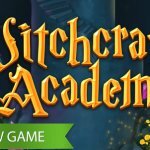 Your magical slot adventure continuous when 3 or more Scatters appear anywhere on the reels in the Witchcraft Academy™ slot. You’re still in the library, but not for long as these Scatters are responsible for the activation of the Elements Bonus. Time to practice the Element Shots spell to get through the trials of the Elements Bonus. If lucky, you’ll enter the deep caverns and enjoy the Free Spins which leaves you with 5 Free Spins while extra Free Spins can be triggered. Be aware, though, as there’ll be Armoured Guards to protect the Free Spins feature from being activated. Only the Element Shot hits can help you to move around the guards. As soon as you’re entering the Elements Bonus, it’s up to you to choose who’s going to use its magic, Efora or Earthan. Efora’s Element is Owl, and Earthan’s Element is Dragon. The number of Element Shots available is equal to the number of Scatter symbols involved activating the Elements Bonus. During the Elements Bonus you’ll be awarded Coin Wins mainly but you’ll also have a chance to activate the following Free Spins Features: x2 Multiplier, +5 Free Spins, Overlay Wild Reel 1 and Overlay Wild Reel 5. When an Element Shot hits an Armour Guard symbol, the Armour Guard explodes hitting all symbols adjacent to it horizontally or vertically. 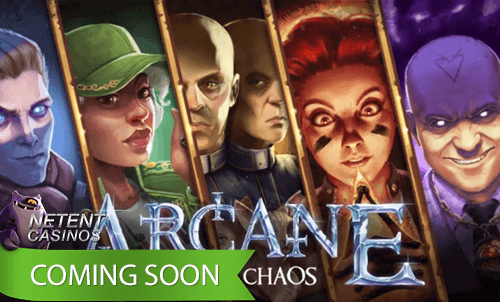 If 3 or more Scatter symbols are hit during the Elements Bonus, Free Spins are activated as well as the unlocked Free Spins Features. If the Free Spins feature is activated through the Elements Bonus game, you’ll receive at least 5 Free Spins. However, extra Free Spins can be triggered during the Elements Bonus and during Free Spins. If any Overlay Wild Reels or an x2 Multiplier have been unlocked, they will be available from the first Free Spin. During Free Spins, 2 or more Bonus Spin symbols appearing anywhere on the reels award up to 20 additional Free Spins. The more Bonus Spin symbols, the more additional Free Spins will be awarded. 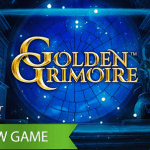 A Free Spins feature to look forward to if you ask me and certainly responsible for a high recommendation from my side.